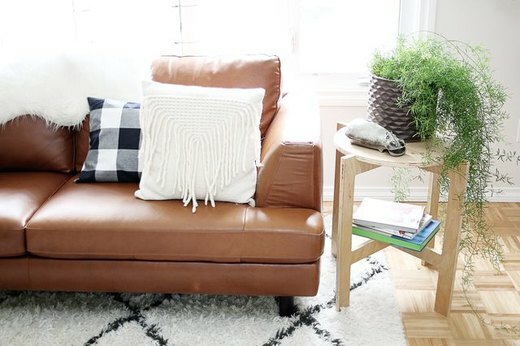 Small square footage shouldn't stop you from bringing good style into your home. Apartment renters and micro home dwellers alike have to get creative with the ways in which they decorate and use space to keep the feeling airy and open. 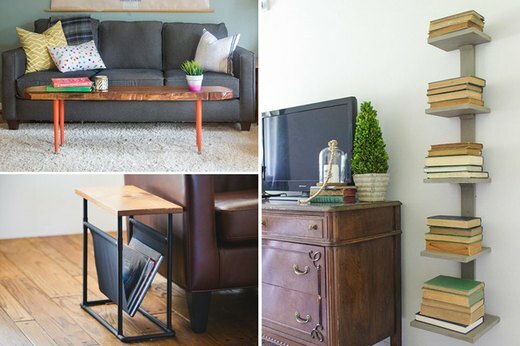 Here are 10 multi-purpose furniture and storage solutions that can help make the most of every inch of your home. 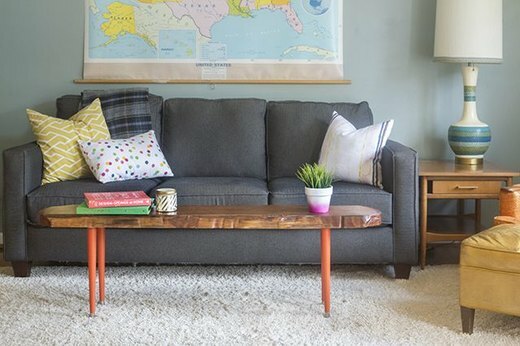 For a functional piece of furniture that is sure to start a conversation, try your hand at making a live edge wood slab coffee table. We're loving the '60s, Laurel Canyon bungalow feel of this project! When decorating your small space, keeping an eye out for stylish two-for-one furniture is crucial. 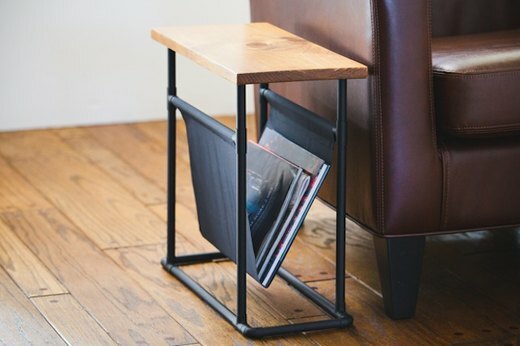 A side table that doubles as a magazine rack will provide a useful surface and keep clutter at bay. Furniture that can be stored and quickly assembled with ease is also great for a home with limited space. Let's say you're having friends over and need some extra room — a three-piece collapsible side table can be easily stored for use after your guests have gone home. 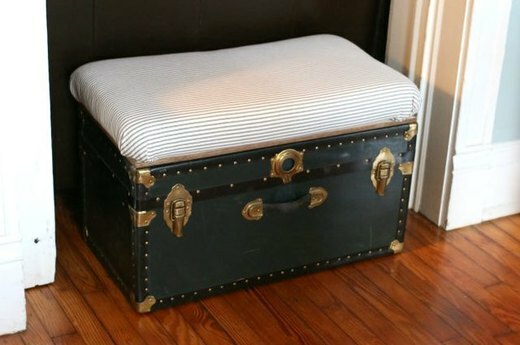 This vintage-inspired piece has three uses: A trunk for storage, a bench for extra seating and a coffee table to hold drinks, books, or any other accessories for your home. Learn how to put a creative spin on a repurposed trunk. A good tip for those living in a home with limited square footage is to decorate with furniture that is more vertical than it is horizontal. 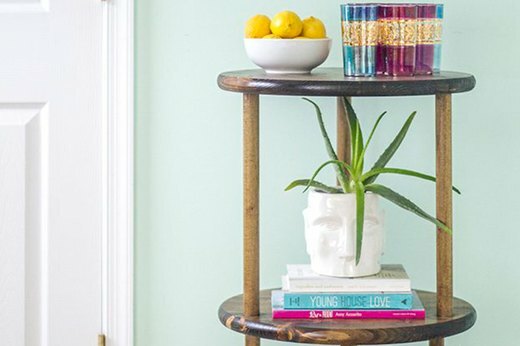 A tiered, tall bar cart provides plenty of storage space. Complete with caster wheels, this mobile piece is versatile enough for even the smallest spaces. Stacked shelves can be used to store pretty much anything: Blankets, extra dinnerware, a DVD collection and so much more. Read on to learn how to put an industrial, rustic spin on simple cube shelves that can be purchased from Ikea. An inconspicuous wine rack will free up some pantry space and display your favorite bottles in a stylish way. 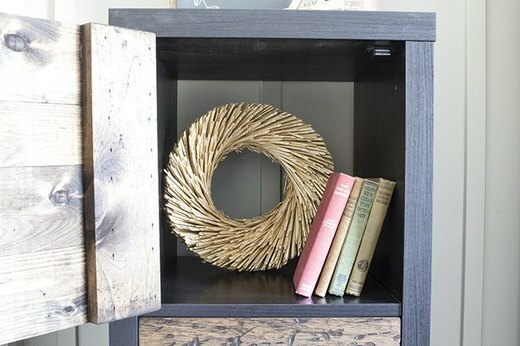 The little shelf on top also provides space to hold wine glasses and a small floral arrangement or plant. 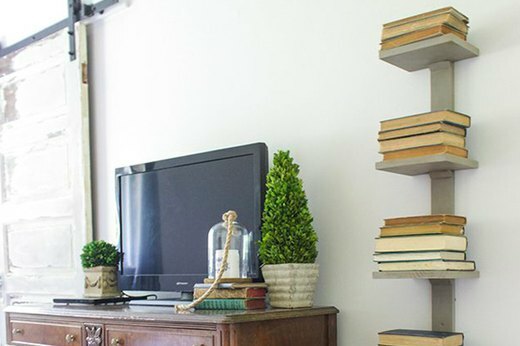 A traditional bookcase may look bulky in a small setting. 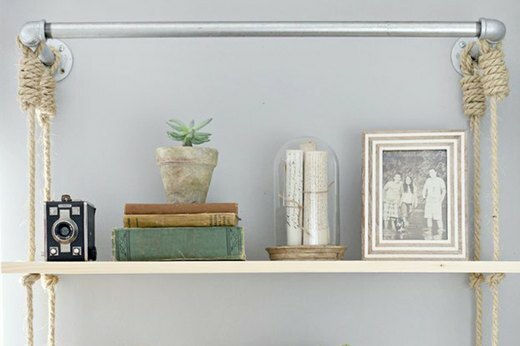 An open shelving unit made with galvanized pipes, wooden planks, and sisal rope can hold a good number of accessories without feeling cluttered. 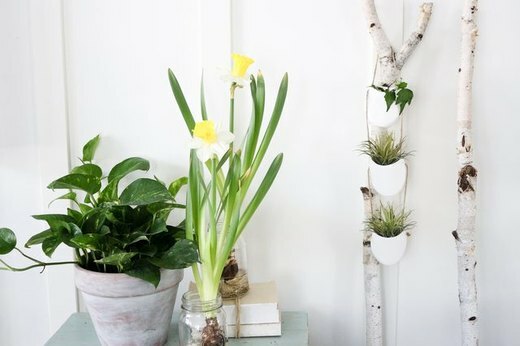 Caring for house plants in a small space has never been easier than with a tiered plant holder. For plants that require minimal attention, look for succulents and air plants. Keep your book collection looking organized with a multi-level shelf. It's narrow, inconspicuous and mounted to the wall to save space.